KYC was well recognized at the Sail Canada Awards Night, held in Toronto at the Art Gallery of Ontario, on February 26th. 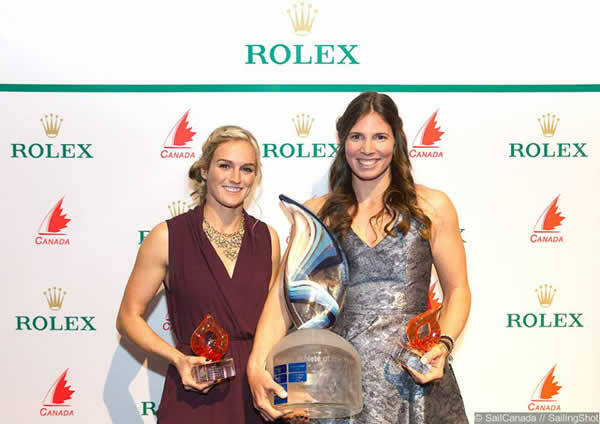 Danielle Boyd, and Erin Rafuse, who qualified Canada for the Rio Olympics in the 49erK+FX class, were recognized as the Skippers' Plan Female Athletes of the Year . 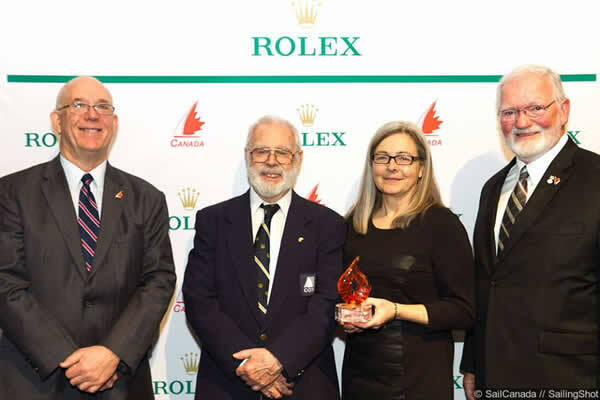 CORK, with Tim Irwin, Marianne Davis, Ralph Shaw and Mary Wewsterland present, received the Chisholm Trophy for Excellence in Race Management, for the 2015 Laser World Championships. 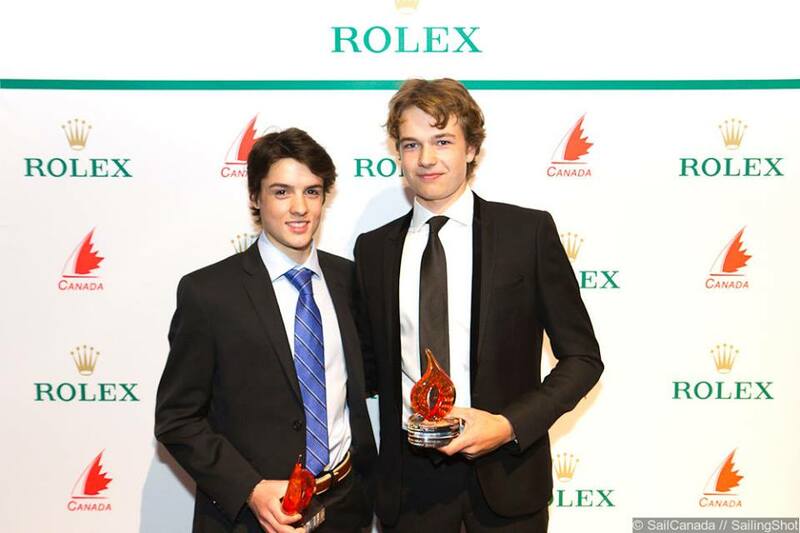 Pat Wilson and Arie Moffat received the Bill Bourke Memorial Youth Elite Award for performance in the 420 class. 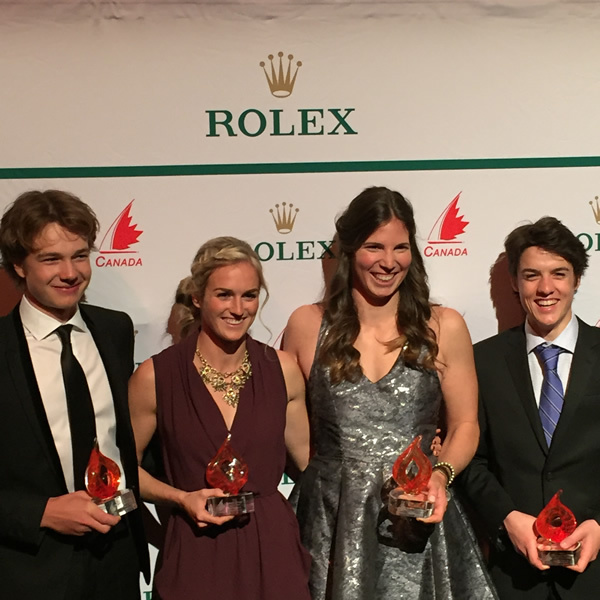 Ross Cameron, who was a Race Officer at the Games, was part of the Pan Am Games group that received the City of Kingston Award for Regatta of the Year. The Games volunteers also shared the 2015 Volunteer of the Year Award. Ann Rouget was the other KYC member involved in the Games. Join the women in wind by the KYC fireplace at 5:30pm for an evening with a focus on books and reading. Join the cruisers fleet and friends of Jemmett's Landing group to ring in the end of the week. Each week, every Febrewary beer purchased will get you a ticket for a weekly draw for a Beau's scarf. The first draw for a scarf will take place this coming Friday, and you have to be here to win. Once all the Febrewary beer is gone there will be a grand prize draw for a beautiful Beau's branded wooden crate filled with 12 different Beau's beers. This week’s Febrewary Feature is a Koru, Orange and Fennel Mussels. Mussels and beer are a classic pairing for Belgian style beers, such as this week’s Koru Belgian Pale Ale. The orange and Fennel will highlight different flavours of the beer. Pancake Feature: Blueberry and buttermilk. Weekend Omelette: Smoked salmon with dill and chevre. Weekend Quiche: Pancetta and parmesan. The last Febrewary release is the Koru Belgian-Style Pale Ale. More sessionable than traditional Belgian styles of beer, Koru has a balanced fruity and floral hop character, which is complemented by peppery, spicy notes of Belgian yeast. Koru pours a deep gold with a frothy white head. The Harbour Committee would like to acknowledge the intitative taken by our Yard Steward, Brad Strawbridge. Brad brought us a proposal in early August to kickstart the Harbour rebuild. The version you are looking at is very closely related to what he sketched last summer. We at KYC are fortunate that Brad has all of our interests at heart!